When you're facing divorce, understanding custody can be difficult. States have their own terms for types of custody and sometimes the same word means different things in different jurisdictions. Most commonly, the phrase "joint custody" refers to joint legal custody -- the right of both parents to contribute to important decisions regarding their child's upbringing. This may or may not mean equal parenting time, or that the child spends roughly the same amount of time in the homes of both parents. Even if you have joint legal custody, you might still have your child only on weekends, so she spends more time in your ex's home than in yours. States have statutory lists of factors that courts consider to determine what is in the best interests of the child, but it's up to an individual judge to interpret them on a case-by-case basis. Few lists mention drunk driving specifically, but many include a catch-all factor that the judge can consider any issue he feels is important. With this vagueness, case law -- a record of how other judges have ruled in the past -- often creates a presumption that an issue should be handled in a certain way. In Arizona, judges generally will not award joint custody when one parent has a DUI on his record. In Illinois, however, the matter might be open to debate. A soon-to-be ex would have to establish that the DUI somehow adversely affects or affected the child. 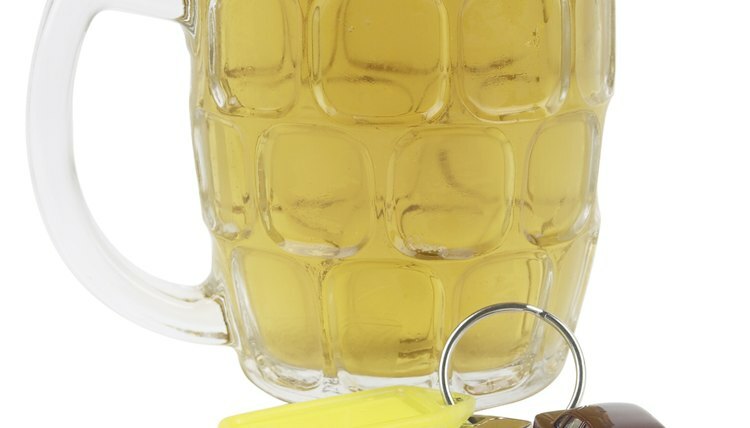 If a dad had one DUI in college and is in his 30s at the time of divorce, the court might well overlook the mistake because it's no longer pertinent. However, if he was convicted during the divorce proceedings, it could have a far greater effect, as it might indicate a current alcohol problem that could affect the child and cast doubt on his ability to make important spur-of-the-moment decisions in an emergency. A judge can weigh whether he's taking steps to deal with the problem, such as by attending counseling or getting treatment. Another important consideration, particularly if the dad is asking for joint physical custody or parenting time, is whether he's lost his driver's license. The court may not split a child's time between both parents' homes if the dad has no way of transporting the child around. Another important factor is that courts tend to be slow to award joint custody when one parent vehemently objects to it. The rationale is that parents must get along reasonably well if they're going to make joint decisions regarding their children or co-parent on a reasonably equal schedule. If they can't even agree on custody terms as part of their divorce, this doesn't bode well for a joint custody arrangement. Joint custody is usually ordered when divorcing parents request it, and even then, they must sometimes prove that they can get along well enough to make it work. If both parents agree that joint custody is the best arrangement and ask the court for it together, if the DUI occurred some time ago, it might not have any impact on the court's decision at all. By the same token, if a parent objects to joint custody so much that she raises the specter of a long-ago DUI, the fact that she's fighting the arrangement might carry as much -- if not more -- weight than the DUI conviction.